(Morning Star News) – A Christian woman in Sweden has been unable to find work as a midwife since a hospital where she interned last year let her go for refusing to help perform abortions. Hospital officials in the southern town of Eksjö had promised to extend Ellinor Grimmark’s contract until she refused to participate in abortions last summer, she said. Another hospital agreed to hire Grimmark but then reneged due to her convictions and the controversy growing over them, and no other hospital would hire her in spite of a shortage of midwives in Sweden, she said. Grimmark, a 37-year-old wife and mother who has since found work as a nurse, has filed a complaint with Sweden’s Discrimination Ombudsman (DO). Attorneys with human rights group Provita and religious liberty organization Alliance Defending Freedom are helping Grimmark in a case they hope will help establish protections for freedom of conscience in Sweden. Grimmark, of Tenhult, said she had prepared for work as a midwife with the understanding that the primary responsibility would be to help deliver babies, though she was aware that hospital work in Sweden could conflict with her convictions. Sweden has no comprehensive and clear legal and policy framework regarding freedom of conscience, said Provita CEO Ruth Nordström. She noted, however, that the European Convention on Human Rights (ECHR, formally European Convention for the Protection of Human Rights and Fundamental Freedoms), offers protections and that they are legally binding in Sweden. A 2010 resolution should greatly affect how the European Court of Human Rights interprets the ECHR articles, she said. “European case law protects religious manifestation and maintains a right to freedom of conscience, which is strengthened by the Council of Europe resolution 1763 of conscience for health care workers and the protection of freedom of conscience in health care among member states in Europe,” Nordström said. The case has sparked debate in Sweden, where a woman may obtain an abortion for free at up to 18 weeks after conception, and in some cases 22 weeks. Asserting that legal protections of freedom of conscience would result in violations of the right to an abortion in Sweden, many fear women seeking abortions would run into a shortage of those willing to perform them. Sweden and Finland are said to be the only two members of the 47 Council of Europe states without well-defined freedom of conscience measures. Sweden has been accused of non-compliance of several counts related to freedom of conscience before the European Council of Social Rights. 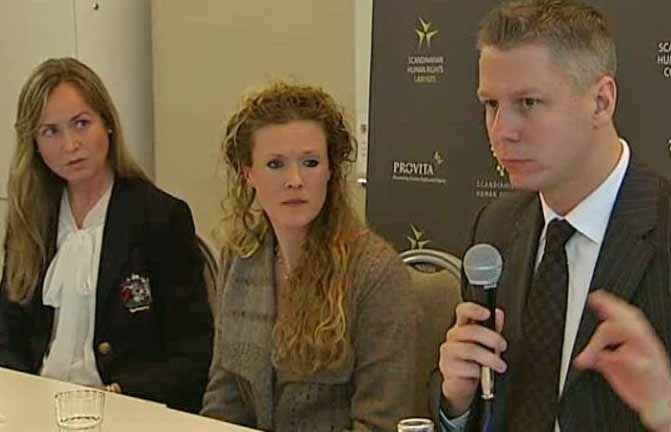 In March 2013 the Federation of Catholic Family Associations in Europe filed a complaint with the Council delineating the counts, and attorneys hope Grimmark’s case could also help bring Sweden into compliance with Council of Europe standards. Provita’s Nordström, who also serves as president of Scandinavian Human Rights Lawyers, said Grimmark could win a case in the European Court of Human Rights. Grimmark said she felt hospitals in Sweden spurned her for her Christian convictions.